When you’re in the market for a new or replacement commercial roll up door, you need a product that is reliable, functional, durable and secure. While the standard commercial roll up door might be for you, many business owners find that high-speed doors are a better fit for their business. While high-speed doors are considered newer kids on the commercial roll up door block, they bring you the benefit of better and faster overall performance, which can increase productivity and safety for your business. What is a High-Speed Door? High-speed doors work similarly to their standard counterparts but they use higher powered mechanics that increase cycle performance. In addition to cycling speeds ranging from 24-feet to 96-feet per second, most high-quality models can handle an unlimited number of opening and closing cycles per day without any signs of undue wear and tear. Every second spent waiting for your warehouse doors to open and close is wasted time. High-speed doors are a simple way to increase worker efficiency and productivity. For example, consider the time spent opening and closing the doors accessing your loading dock. Multiply the seconds it takes to open and close doors, by the number of rolling doors you have on site, by the number of times they open each day. Now, multiply that by the number of days you’re open per year – and we bet you’ll be shocked at how many hours are wasted in the simple act of opening and closing doors for daily business operations. High-speed doors will slash those hours significantly, and that’s mean money put directly back into your pockets. 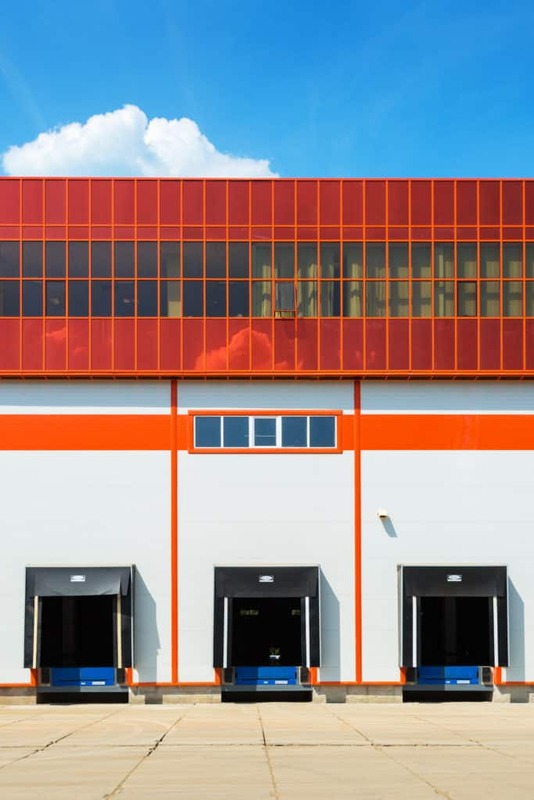 The merchandise stored immediately to the interior of your warehouse or commercial building’s doors are susceptible to inclement weather whenever those doors are open. While strip doors can certainly help in this arena, high-speed doors do a much better job. At the first sign of wind, rain or a dust storm, the doors can be closed immediately, protecting valuable merchandise from destruction, damage and/or contamination. The longer access doors are open, the more difficult it is to control the temperature in the interior spaces. Freezer high-speed doors are designed to function in temperatures as low as -22° F, so your frozen products or materials will be protected from the temperature of surrounding areas. Similarly, special clean room models come equipped with minimal leak flow and pneumatic bottom edge detectors to minimize contamination between interior and exterior spaces, as well as specially divided interior spaces housing contaminant-sensitive products. Clean room high-speed doors are rated for interior contamination control in the pharmaceutical, hospital, laboratory, electronic and other controlled environments. Again, the less time your doors spend in the open or cracked position, the less your heating and cooling systems have to work to maintain the building’s preferred temperatures. Since high-speed doors open and close so quickly, businesses experience notable energy savings during the peak hot and cold seasons. Reduced fuel costs are another unforeseen gain in efficiency because high-speed doors mean less time forklift operators, delivery and other service vehicles will spend idling as they wait. This is also a benefit to companies focused on environmentally friendly business practices. 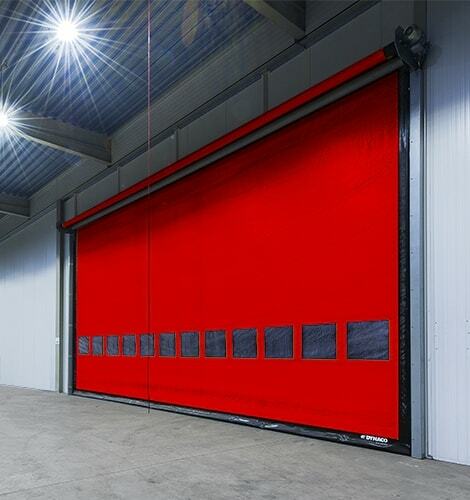 Are you interested in learning more about your high-speed commercial rolling door options? 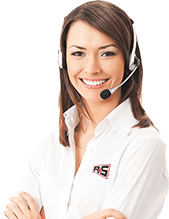 Contact us here at R&S. We’re the Bay Area’s leading installers and maintenance professionals for commercial and industrial doors. The loading dock is a busy hub, which is why it can also be one of the most dangerous places to work. From inattentive truck drivers, to poorly lit or slippery areas, there is plenty of opportunity for accidents and injuries – and who wants that? Your goal as a business or warehouse owner or manager is to keep your employees safe and free from harm. This requires continued education on your part, as well as the sharing of that information with your employees and anyone who spends time in the loading dock and bay. Accidents are bound to happen, the more you maintain a proactive stance, the less often they will occur – and the less severe the accidents or personal injuries will be. Even something as simple as wearing a seatbelt when driving the forklift can make the difference between a minor and major accident-related injury. Institute a mandatory policy when it comes to employees and PPE. There should be a zero-tolerance plan in place for employees who fail to wear and implement PPE as advised. The Docks. The docks are a dangerous place for several reasons. Some of the most typical OSHA citations are handed out for unsafe dock conditions. 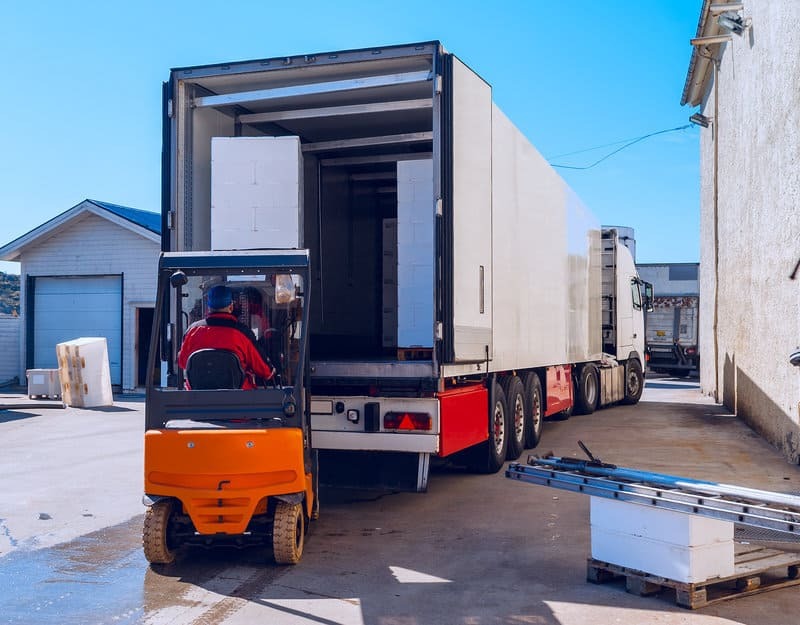 Some of the most common hazards are associated with forklifts running over the dock edges, unsecured dock plates, employees jumping off the docks, or when products or equipment strike employees while they are on the dock. Make sure dock signage and barriers are clearly visible and keep your loading dock equipment in good working order, observing the manufacturer’s recommended maintenance schedule. Improper Lifting & Loading Techniques. Sometimes, it’s the little things that go wrong. In the case of warehouse and dock workers, day after day of lifting and moving heavy boxes can take a permanent toll on the body. If your workers aren’t trained in regards to safe lifting practices, they can wind up with lower back and/or joint injuries that lead to costly missed workdays, workers compensation claims and even disability – not to mention chronic pain issues. Provide general ergonomics training and specific task training to mitigate these risks. Training is not a one-and-done activity, but should be an ongoing focus of safety meetings and worker training refreshers. Also, encourage teamwork so employees never feel uncomfortable asking for assistance when they need it. Slips, Trips & Falls. The minute your dock or warehouse floors get wet, they get slippery. Slippery floors can lead to serious slip and fall accidents. Similarly, poor housekeeping can lead to debris on the floor, which poses both tripping hazards as well as forklift hazards. Train employees to clean up messes immediately and make a tidy warehouse and loading dock the norm. Perform routine sweeps of the areas and remove potential hazards. If and when spills occur, clean them up immediately and post adequate signage until the surface is completely dry. A safe loading dock is a happier loading dock. Is your loading dock equipment in need of repair? Contact R&S and we’ll be happy to schedule an inspection and consultation to get your doors, lifts and other equipment in proper working order.